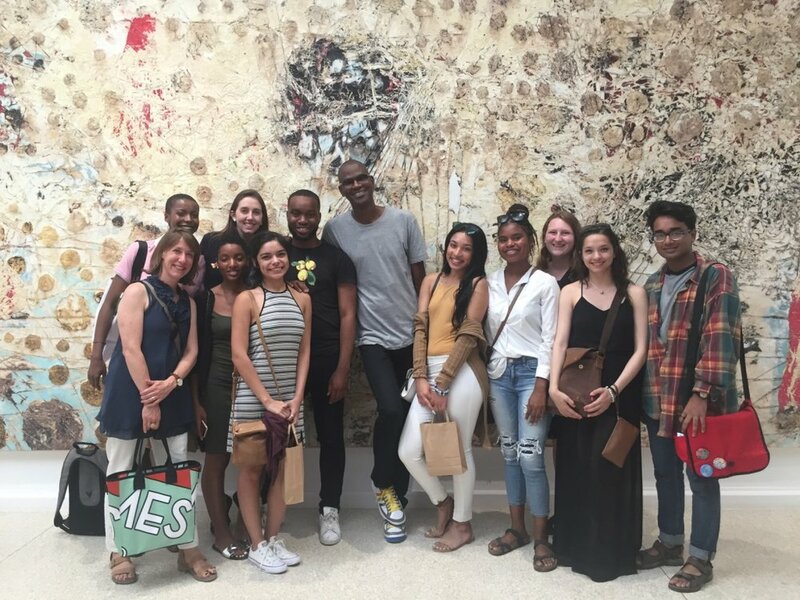 With students in the June, 2017 course Behind the Scenes at the Venice Biennale, co-sponsored by the Baltimore Museum of Art: we enjoy some photo ops after a conversation with artist Mark Bradford in the U.S. Pavilion. I am the founding director of the Program in Museums and Society at Johns Hopkins University. This unique interdisciplinary program approaches the museum through a humanistic lens, considering collections as expressions of political, social, and cultural identities. As founding director, I envisioned the program and oversaw its development into a nationally recognized model of teaching in, through, and about museums. Hallmarks of Museums and Society under my leadership include curricular partnerships with 20 academic departments, nearly 60 applied museum projects, students from over two dozen fields of study, and a selection of nearly 80 different courses, many rooted in hands-on and applied work. Museums and Society graduates are employed in museums, libraries, archives, schools and universities, and foundations, as well as research laboratories, publishing houses, financial institutions, law firms, and hospitals. I left my position in 2018 but have continued to work with students and teach, most recently in a January 2019 intersession trip for the course Museums, Monuments, and Cultural Memory in Paris.